It's snack time! 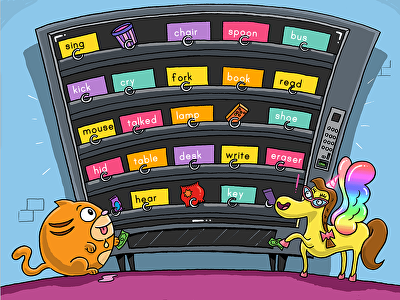 Kids must identify different parts of speech in this delicious word game. Perfect for helping young learners distinguish between nouns and verbs, this game will become an instant favorite thanks to its brightly-colored artwork and fun characters ... all while helping children strengthen their reading skills. He, she, it or we? Pronouns replace nouns in sentences, and it's critical kids learn how to use them properly for reading and writing success. 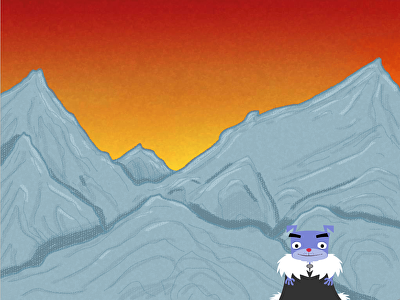 Give young learners the practise they need with this interactive sentence-building game! In it, they'll learn how to use sentence clues to determine which pronoun correctly fits into the blank. What do you call a group of ants? 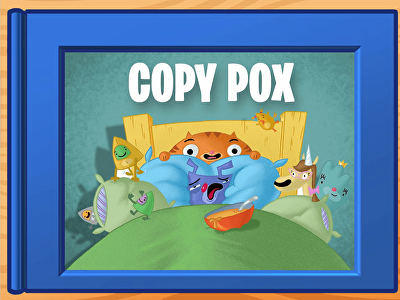 In this comprehension game, kids use their knowledge from The Copy Pox to answer multiple-choice questions about collective nouns. Ideal for honing grammar skills, this quiz helps kids strengthen their writing and vocabulary knowledge to become better writers, readers, and all-around learners. Expanding simple sentences is an important skill for young kids to build. 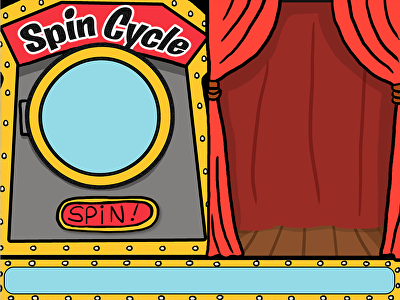 Help children master the ability to create complex sentences with this wacky sentence spinner game! 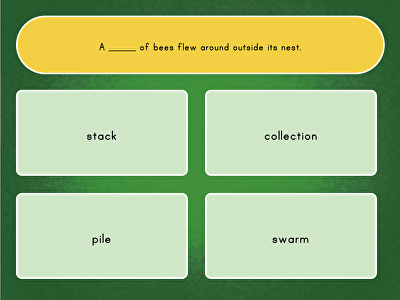 Focused on adding adjectives, prepositional phrases and other parts of speech to simple sentences, this game helps kids acquire the skills they need to become stronger writers.